Zhoushan, which literally translates as “boat-mountain” in English, is the largest archipelago, the first archipelago city and the only national new area featuring a marine economy in China. For thousands of years, Zhoushan has been a major channel and trade port along the marine Silk Road thanks to its numerous islands and conveniently located ports. Facing the East China Sea and backing China’s economically dynamic Yangtze River Delta, Zhoushan boasts a deep water harbor and rich fishery resources. Ningbo-Zhoushan Port currently possesses the world’s largest cargo handling capacity. Zhoushan is one of the four largest fishing grounds in the world and Shenjiamen Fishing Port is one of the three largest fishing ports in the world. Zhoushan is not only China's strategic marine gate to the world, but also a picturesque and poetic tourism city. 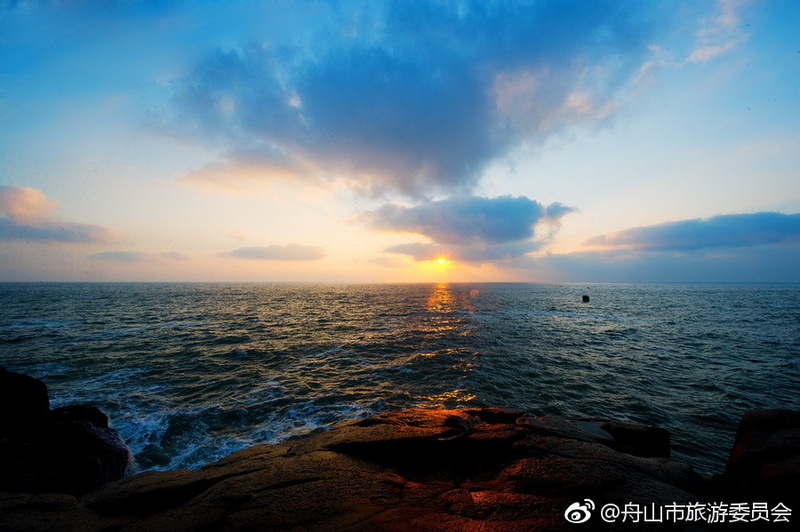 Zhoushan has long been known as a “City of Thousand Islands”. It has 1390 islands to be exact, including the Chinese famous Buddhist mountain-- Mount Putuo, China's only national-level island scenic spot—the Shengsi Islands, the proclaimed by some ‘home’ of sand sculptures in China --Zhujiajian Island, the mysterious swordsman island--Taohua Island, the ‘fairyland’ on the East China Sea--Daishan Island, East China Sea's polar island--Dongji Island. These islands not only possess beautiful scenery, but also rich natural resources. Zhoushan is aiming to transform from a place which merely supports sightseeing tourism to become a place where tourists spend their vacation. Being uniquely placed with its stunningly picturesque scenery, ecology, seafood, quaint fishing villages, culture and being a hub of Buddhism, Zhoushan is forging a batch of themed tourism islands focusing on B&B accommodation, watersports, seafood, fishing culture, and Buddhism focused Zen meditation experiences to form a comprehensive tourism resort.